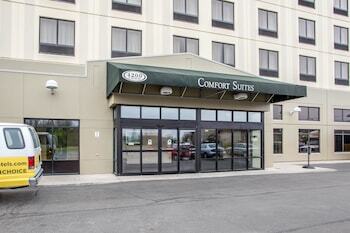 You may still be able to book by calling the hotel at 847-296-8866. 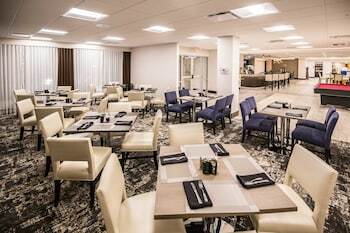 The Radisson Hotel Chicago O'Hare is a comfortable, business-friendly hotel that's situated just two miles from the airport. The hotel's 246 guest rooms were recently renovated, and many of them feature Sleep Number beds, so you can choose your own level of comfort for the perfect night's sleep. 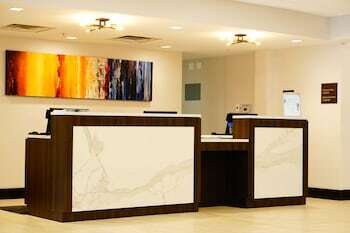 Guest rooms also feature complimentary wired and wireless Internet access, balconies, ergonomic furniture and soundproofing -- so there's no need to worry about overhead airplane noise. A rarity amongst Chicago hotels, the Radisson has an outdoor swimming pool to help keep you cool from the sizzling summer heat. The hotel's complimentary airport shuttle isn't only helpful to departing and arriving guests -- it's also a great way to catch a lift to O'Hare's CTA station, where the Blue Line takes riders right into downtown Chicago. 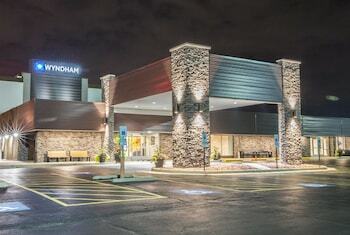 Wyndham Chicago O'Hare is a 3-star hotel located at 1450 E Touhy Ave, Des Plaines, IL 60018, US . Its nightly price usually falls between $69 per night and $356 per night, excluding tax, depending on room category. 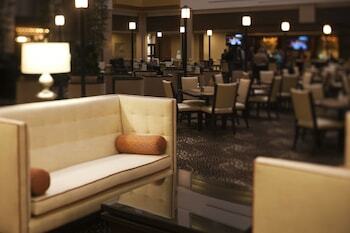 At Wyndham Chicago O'Hare, AAA members often get 7-13% off the regular rate. For example, on December 29, 2018, a AAA rate of $92.7 per night was offered. Depending on your itinerary, your savings can be more than the annual AAA membership fee itself! Many Room 77 users are able to pay for their entire AAA membership in a single stay. 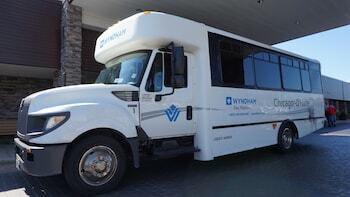 At Wyndham Chicago O'Hare, seniors often get 5-10% off the regular rate. For example, on December 29, 2018, a senior rate of $92.7 per night was offered. $69 per night found for a Room, 2 Queen Beds room type. 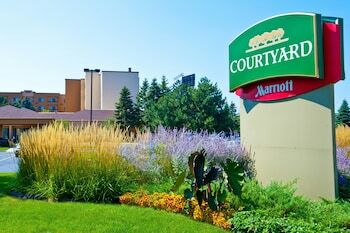 For December 29, 2018, a special AAA rate of $92.7 per night was found for the AAA Discount - 1 King Bed Non Smoking Upgrade Sofabed Free - Wifi Mini Fridge Room Safe Hdtv room type. For December 28, 2018, a special Senior rate of $92.7 per night was found for the AARP Rate - 1 King Bed Non Smoking Upgrade Sofabed Free - Wifi Mini Fridge Room Safe Hdtv room type. 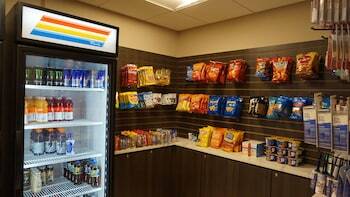 Wyndham Chicago O'Hare sells rooms through sites like Room 77, Expedia, Hotels.com, GetARoom, and many others. Room 77 searches across dozens of different sites to find the lowest discount rates available. The lowest rate we've seen over the last few weeks was found on . In 1% of the cases we surveyed, all sites offered the same rate. You can compare real-time rates from all of these sites on Room 77. Room 77 is the only hotel shopping site that includes special discounts like AAA, senior, government, military, and corporate rates.